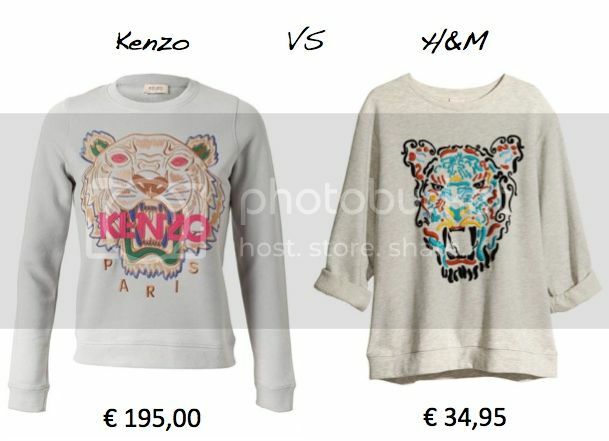 The Kenzo-sweaters with the famous tiger head print have been dominating the fashion scene for a while now. 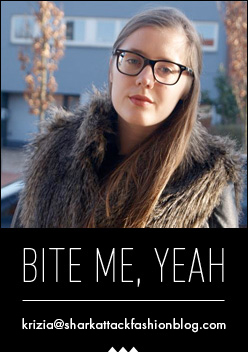 From fashion bloggers to fashion editors, they all fell tiger head over heels for them. As it happens with all it-items, high street labels quickly started to sell their own version. I thought the hype would be over by now, but if it's up to the designers at H&M, this wild trend is here to stay for a bit longer. With the original Kenzo-sweater being sold out pretty much everywhere, you can pick up the budget friendlier version at H&M or online HERE. Deze van H&m vind ik wel een lelijke versie :D Maar voor dat geld kan je niet sukkelen! Quand même, rien ne vaut celui de Kenzo qui est vraiment à tomber par terre! I don't really like the h&m version!